BLOOMVILLE — A former Mansfield Reformatory haunt expert is bringing an even more terrifying experience to Seneca County this Halloween season. Myron St. John worked at the reformatory haunted attraction for 15 years. After taking a break, he wanted to get away from a typical indoor haunt and move it to something more real — the woods. 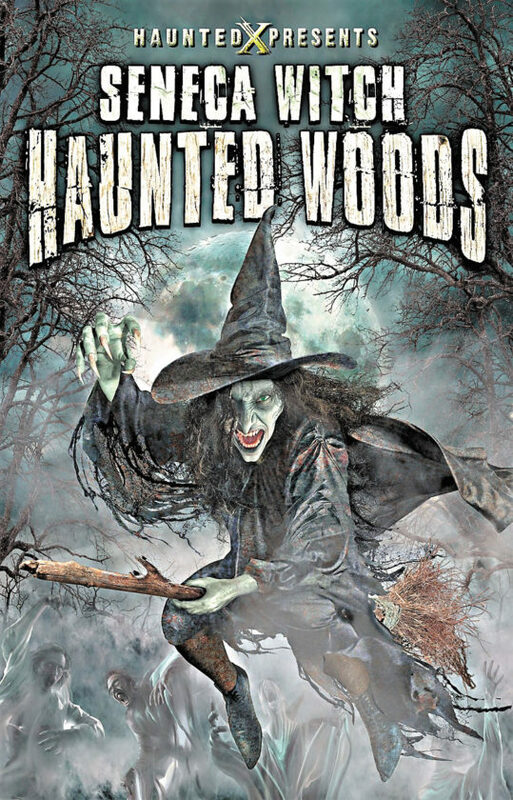 This October, St. John plans to bring the attraction, Seneca Witch Haunted Woods, to Bloomville. The legend of the Seneca Witch starts in 1692, when Abigail Sibley, an accused witch, flees Salem, Massachusetts, and the notorious witch trials. She moved west into what now is Ohio and was taken in by a small tribe of Seneca Indians. The legend states she was able to heal, enable crops to grow and destroy their enemies. When settlers came decades later and a brief war ensued, a shaman or dogwoman was either killed in the battle or captured and tried and hung as a witch. Years later, farmers and other area residents claimed that a nearby woods is the home to a specter who roams there and haunts the nearby farmlands. Through the years, failed crops, animal mutilations, strange creatures, ghostly figures and strange lights and sounds that come from the woods gave rise to the legend as the vengeful spirit now known as the Seneca Witch. “The woods is even creepier in the daylight,” he said. St. John said make sure to wear walking shoes, “because you will need to run from things,” he said. But he said the actors will not touch you. St. John said he has been involved with haunted attractions for more than 30 years. In addition to the scares, St. John said there will be vendors, a bonfire and a representatives from the Great American Sideshow. “There will be a lot of fun for a lot of people,” St. John said. The haunt are to take place Fridays, Saturdays, and Sundays in October, and Oct. 31. On the last two Fridays, St. John said, the lead singer of Mushroomhead will be dressed and in the woods to participate in the haunt. Tickets can be purchased online at www.hauntedx.com.